THIRUVANANTHAPURAM: It's primed to be a packed year ahead for the Indo-Russian BRAHMOS supersonic cruise missile with upcoming flight-test of the missile aboard a modified Su-30 MKI of the Air Force and the prospect of the Indian Army raising two more BRAHMOS missile regiments. The BRAHMOS air-launched version will be flight-tested aboard the IAF's Su-30 MKI fighter in 2015 itself, Sudhir K Mishra, CEO and Managing Director of Indo-Russian joint venture BrahMos Aerospace Pvt Ltd (BAPL), told "Express" during a recent visit to the company's Thiruvananthapuram unit. "The Nasik division of Hindustan Aeronautics Ltd (HAL) has completed the modification of Su-30 MKI for carrying BRAHMOS missiles. 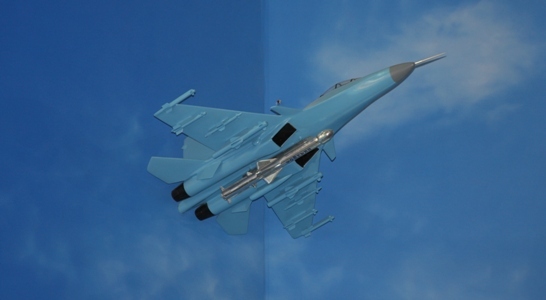 We are planning to test the missile this year itself once it has been integrated to the fighter," Mishra said. "It will take about four to five months to complete the instrument flight test, the dummy test and the actual flight," he said. BAPL has so far handed over more than 100 BRAHMOS missiles to the 4th BRAHMOS missile regiment of the Army. "We are also looking at the possibility of raising the 5th and 6th BRAHMOS regiments," Mishra said. Other plans, including fitting six ships of the Indian Navy with the 290-km missile, are on the anvil. In May, the army had successfully tested an advanced version of the missile with steep-diving capability. On foreign customers lining up for the missile, Mishra said that it was up to the Centre to decide. "The BAPL is ready to meet any production order, subject to the Government of India approval. It is for the government to decide where to export and whom to export it to," he said. The Russian government has absolutely no problem with such orders, he said.